You and your kids can discover the outdoors at Family Friday Explorations, a series of three free outings on Friday evenings in October hosted by the Buzzards Bay Coalition and the Wareham Land Trust, Inc. 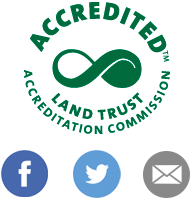 Through fun games and hands-on activities, your whole family will learn about animals, plants, and habitats in the Buzzards Bay region. Family Friday Explorations is recommended for families with elementary school-aged children. We encourage you to attend all three programs, but it’s not required. Seining the Shore (Oct. 7): Explore crabs, fish, and other species that live along the shoreline at Shining Tides Beach in Mattapoisett. You’ll learn how to pull a seine net and take a close look at the small critters you catch! 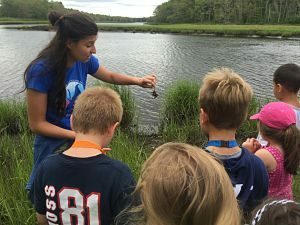 Marsh Exploration (Oct. 14): Explore the unique plants and animals that live in a salt marsh at The Trustees’ Lyman Reserve in Bourne. Prepare to get muddy as you play games and get to know this important habitat up close and personal! Orienteering (Oct. 21): Learn how to use a compass and navigate the trails through the woods at William Minot Forest in Wareham. In addition to practicing your orienteering skills, you’ll also identify the forest’s tree species by playing a fun game called “Meet a Tree”!